You’ve probably already heard about this since Claudia is the Undisputed Queen of the Internet, and beat me to it, but we’re going to edit a book. 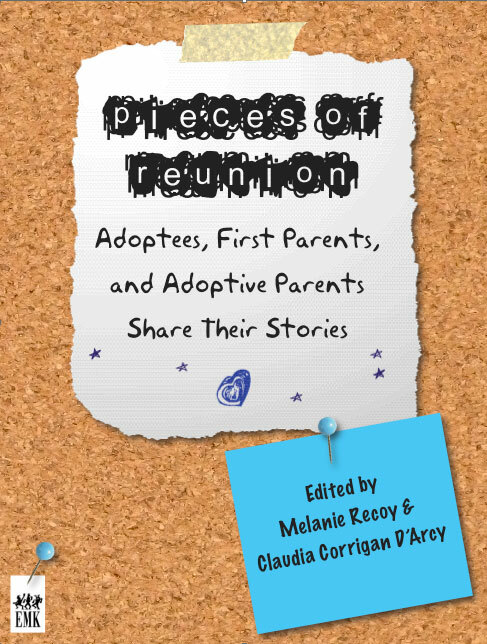 A book about adoption reunion. A book that is going to feature stories from you. This is something I’ve wanted to do for a long time. When I started searching, I found a lot of information on how to find my birth parents, I got lots of help from search angels, first parenrts, fellow adoptees, even a social worker and an adoptive parent or two. I would have not found my first mother without them. They gave me a map, let me know what to expect, and provided me with a sense of community. It was good and I’ll forever be in their debt. But once I found my first family, I felt like I was on my own. There were a few blogs out there, a few folks on message boards who were talking about their reunions, but at that time it was still pretty thin. I couldn’t find many books that dealt with how to handle reunion, so many just stopped at found. So I proceeded without much of a map. Luckily when things really started to go south in my reunion I had found a community. At the time there weren’t many of us but enough to get me through a rough patch. I think those folks saved my life. Now there is a lot more information out there. More people are talking about reunion past the first hugs and honeymoon period, more people are blogging, more people are sharing. That’s good. Their stories are wonderful, painful, amazing, inspiring, crazy making, and every other feeling imaginable. I wanted to bring these stories together, in one place, for those just going into reunion, and for those who are finding their way through reunion. Some of the best stories can be hard to find, and I know, there are new stories out there that need to be heard. I knew that I would need help with this, another perspective, someone knowledgeable that had been through the experience. Claudia was the first to come to mind. She was a first parent, in reunion, and has a deep understanding of issues surrounding adoption. She’s also a hell of a writer, gorgeous, and way cooler than me. I wasn’t sure I could get her on board., but I thought I’d give it a try. I was pretty sure if she thought it was a dumbass idea, at least she’d tell me nicely. She liked the idea and we were off. I had contributed an essay to Pieces Of Me; Who Do I Want To Be, the teen book from EMK Press. I loved that book, it let adoptees say what they needed to say, it was honest. I wanted the reunion book to be like that. So I put on my confident writer persona and brought the idea to Carrie Kitze, the publisher at EMK Press. She’s way cooler than me too, so I figured if she thought it was a dumbass idea, she would also tell me nicely. Carrie liked it. I can’t thank her enough for giving all of us this opportunity to tell our stories. So now we are really off. I need your help too. I need you to write about your reunion, the good and the bad. I need you to be honest and not hold anything back. I need you to tell others what you wished you had known. This book is about you, and your experiences, your feelings, your stories. Help me out here, please. I know we can do something wonderful. Below is a link to the call for submissions, it will give you some ideas, and the information you need to tell your story.